"After a record hot December and January, it won't come as a surprise that this summer will be our warmest on record," said Andrew Watkins, manager of long-range forecasting at the Bureau of Meteorology. Although the final figures won't be available until Friday, the bureau said it was already clear the average maximum and mean temperature for the three months of summer would for the first time be more than two degrees Celsius higher (3.6 degrees Fahrenheit) than long-term averages. Rainfall was also below normal, and the bureau said it saw no let-up in a severe drought that has gripped vast areas of the country's agricultural heartland in the east and southeast for many months. "Unfortunately, the outlook isn't giving a strong indication that we'll see a return to average or above average rainfall in many areas over the autumn period," Watkins said. Graphic of annual mean temperature anomalies from 1910 to 2018. Authorities said the January heatwave contributed to the deaths of more than a million fish in the Murray-Darling river system, the country's largest and which runs through five states in the east of the country. 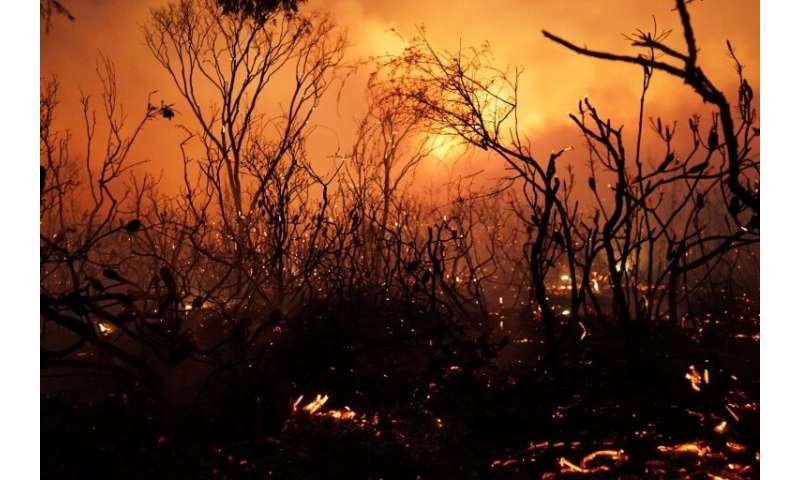 Meanwhile, bushfires—which are frequent summer occurrences in Australia's arid southeast—spread far into the tropical northeast of the country in January.